Ill on a First Choice SplashWorld Holiday? Simpson Millar LLP offers specialist legal advice for holidaymakers who suffer illness whilst staying at a SplashWorld or water park holiday. 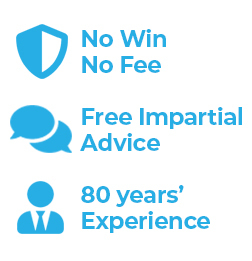 If you have a valid complaint and are looking to make a claim following illness we offer specialist legal services in this area on a No Win No fee basis. Simpson Millar LLP Solicitors should be your first choice when it comes to pursuing tour operators for holiday complaints caused by salmonella, E-coli, campylobacter and cryptosporidium. We regularly claim compensation from tour operators whose products include SplashWorld or water parks within their holiday programmes. The most common illness at SplashWorld hotels that we pursue claims for is cryptosporidium. The parasite is spread from person to person through swimming in a contaminated pool by extremely small particles of infected faeces. If a child has diarrhoea and has an accident in the pool then the infection can spread easily to other children. Vegetables and salad can also spread cryptosporidia parasites if they are washed in contaminated water. Food can also become contaminated with faeces from ill food handlers via the hand to mouth route. Cryptosporidium – What Lies Beneath? Cryptosporidia are microscopic parasites which often cause illness when they are inadvertently swallowed by holidaymakers. Profuse diarrhoea and sickness will often result, but sometimes this common holiday bug can be carried without symptoms, allowing the parasite to be passed on silently to other travellers. The major source of the cryptosporidium bug is the faeces of animals including cats, poultry, dogs, fish and farm yard animals such as cattle and sheep. People are also carriers and can easily contaminate poorly maintained swimming pools. Do you Need Medical Treatment? Cryptosporidiosis affects adults and children alike. On holiday, children aged between 3 and 10 years old are particularly susceptible to infection because they often spend a large amount of time in the hotel swimming pool. Outbreaks in hotels often occur where groups are at risk because of poor swimming pool hygiene management. Children with immunological deficiencies are at special risk and their symptoms can be very severe. Advice should be sought from your GP immediately or a Consultant in Communicable Disease Control. We regularly claim compensation from First Choice Holidays – Thomas Cook – Olympic Holidays and other tour operators for waterborne illness and food poisoning sustained at hotels abroad. Simon Lomax, Simpson Millar's Holiday Accident and Illness Claims manager says, "I used to be employed as a claims manager for two of the UK's largest tour operators but decided to change sides because I found substantially under settling personal injury claims to be wrong. I believe this process is continuing. Families, including those whose children have been ill, are often contacted by 'welfare teams' shortly after they return home offering compensation which does reflect the severity of their injuries." "Trying to take advantage of a customers lack of legal knowledge at a time when they are still ill and often vulnerable is in my opinion morally wrong.